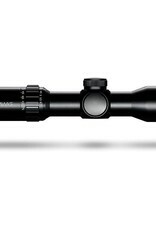 14 layer Fully Multi-Coated Wide Angle optical system 30mm mono-tube chassis for superior strength Locking speed selector ring - 250 fps to 450 fps Fixed parallax distance of 50 yards / 46 metres Glass etched reticle with red and green illumination Rheostat on saddle offers 5 levels of brightness 1⁄2 MOA low-profile no-snag fingertip turrets Fast focus eyebell and high torque zoom ring Threaded objective for optional accessories Chassis: 30mm Mono-tube Optical System: 1.5-6× Objective: 36mm Reticle: XB30 Compact SR Illumination: Red - 5 Levels Focus/Parallax: Fixed - 46m / 50yds Field of View: m @100m / ft @100yds 29.3 - 7.3m / 87.9 - 21.8ft Eye relief: 67mm / 2.6″ Length: 236mm / 9.3″ Weight: 429g / 15.1oz Waterproof, Shockproof, Nitrogen purged. All calibre rated. 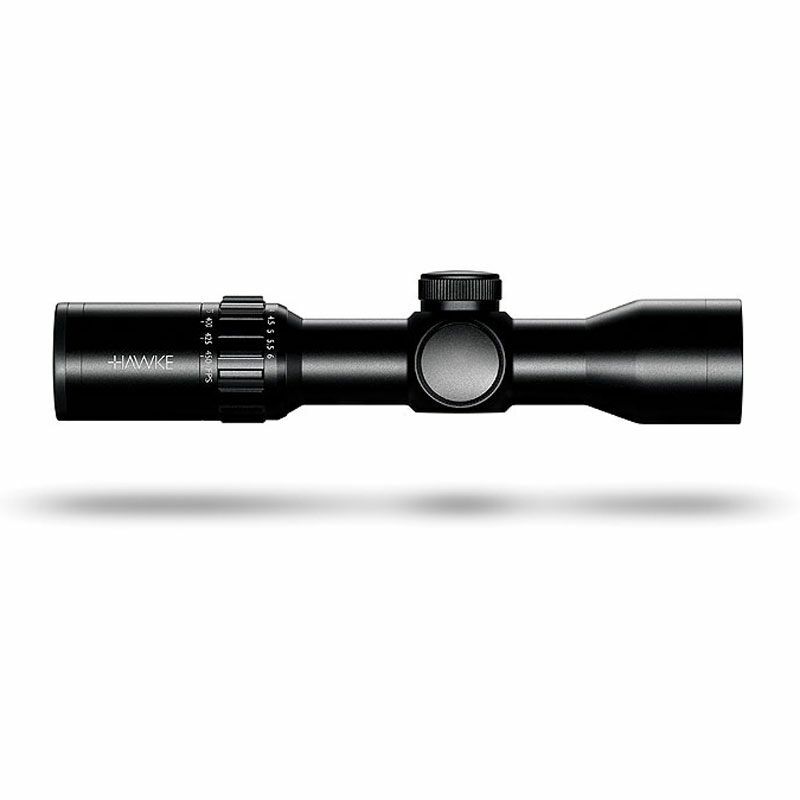 XB30 Compact SR Reticle Aim points from 20 - 100 yards with 5 yard marks. 10 yard aim points incorporate windage bars and dots to compensate for 10 mph and 20 mph cross winds.